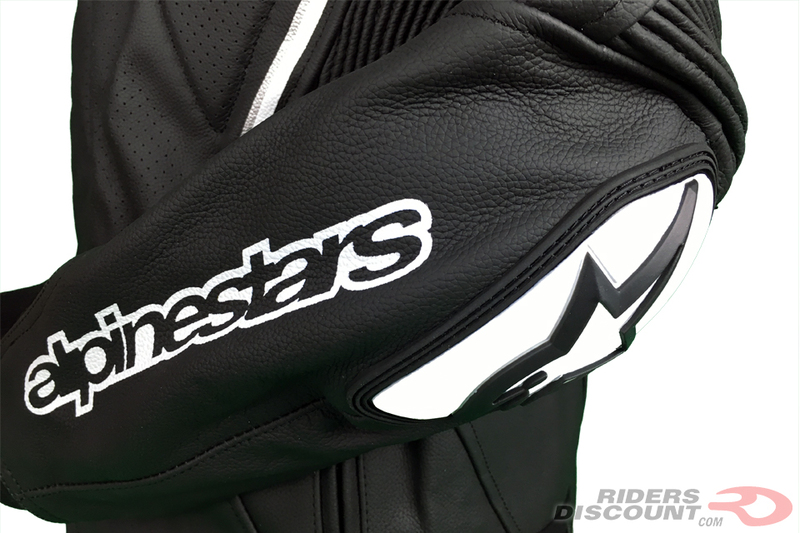 The Alpinestars Atem Leather Jacket is a CE-certified race jacket that gives you the flexibility to attach a pair of Alpinestars Track Airflow Leather Pants via a 360 degree zipper. Constructed of 1.3 mm full-grain cow leather, the Atem is extremely abrasion resistant. Perforation throughout the jacket allows for excellent ventilation. The jacket is equipped with accordion stretch panels under the arms and on the elbows for extra flexibility and comfort, even in the tuck-riding position. D-ring waist adjusters allow you to customize the fit. 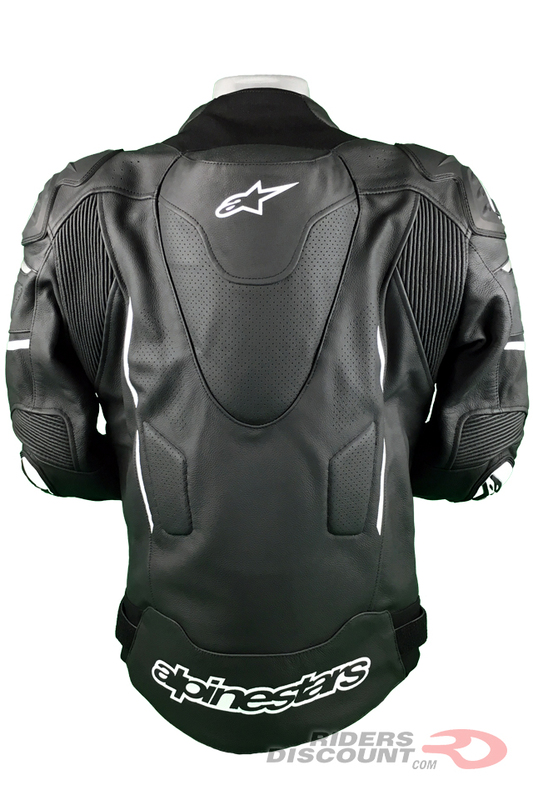 This jacket incorporates Alpinestars’ exclusive Dynamic Friction Shield (DFS) shoulder sliders, as well as removable, CE-approved GP-R elbow and shoulder protectors. The inside chest and back pockets come equipped with PE padding. If you’re looking for more protection, the Nucleon KR-R Back Protector and Nucleon KR-Ci Chest Protectors are compatible and sold separately. The aerodynamic back hump on this jacket is perforated for increased airflow. 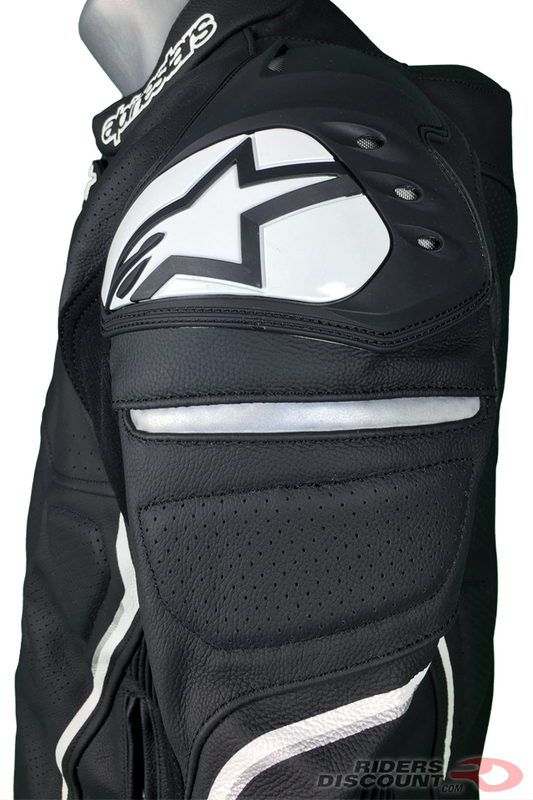 Inside of the jacket is a removable, washable mesh liner. There are two internal and external pockets to hold personal belongings. 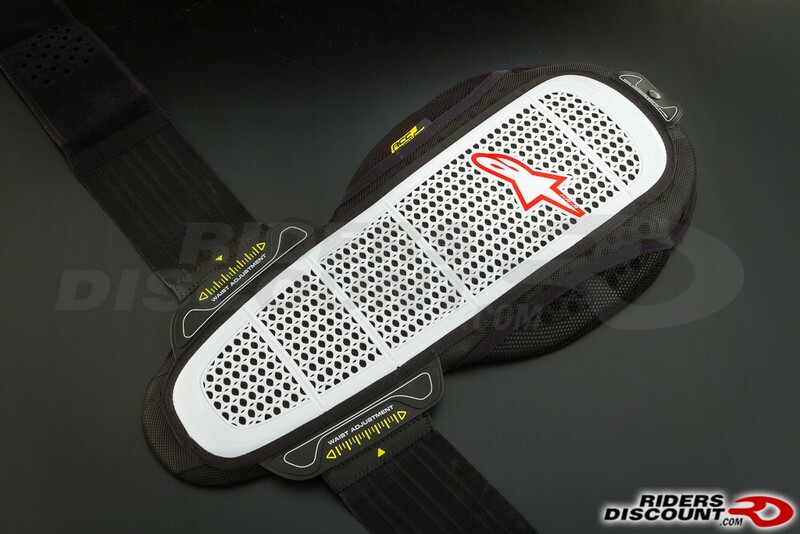 Neoprene is located on the collar and cuffs for added comfort. 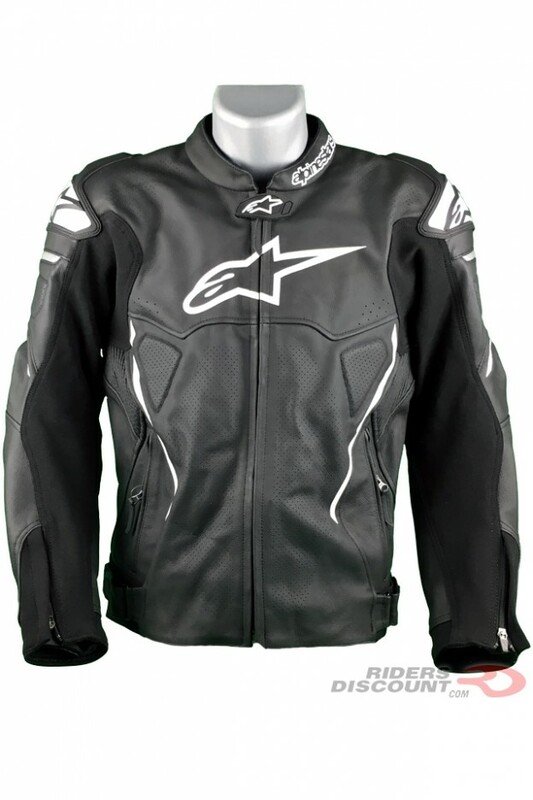 This entry was posted in Product Reviews and tagged Alpinestars, Alpinestars Atem Jacket, Alpinestars Atem Leather Jacket, Alpinestars Track Airflow Leather Pants, Alpinestars Track Airflow Pants, Leather Jacket, motorcycle gear, Motorcycle Jacket, Riders Discount on September 2, 2016 by Riders Discount.